The second release candidate for jQuery UI 1.12 is out, fixing a few regressions in our first and only beta. You can find details for the bug fixes in the changelog for 1.12.0-rc2. New theme: Our long-time default grayscale theme Smoothness has been succeeded by a modern theme with some colors, less gradients and some other improvements. The new theme is already live on ThemeRoller (where you can also find the ‘Smoonthness’ under the Gallery tab). New widgets: Controlgroup replaces buttonset and adds support for selectmenu and the new checkboxradio widget. You can see the new widgets in action in the controlgroup and checkboxradio demos. New classes option: All widgets got a new option, called classes. This gives a lot more control over visual styling and custom theming. For example, building a Bootstrap theme for jQuery UI is now a lot easier. New method: The .labels() method finds all label elements associated with the first selected element, mimicking the native labels property. npm/browserify/webpack support: The jquery-ui package on npm is now owned and maintained by the jQuery UI team. In addition, we’ve updated package.json and changed the directory structure to work better with tools like browserify and webpack. See Jörn Zaefferer’s demo for webpack usage information. Effects overhaul: The effects API has received a major overhaul, introducing many new APIs and rewriting effects to use CSS clip for smoother and less error-prone animations. In addition, the transfer effect has been replaced with a .transfer() method. 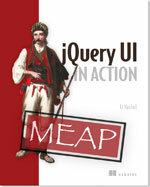 Dropped jQuery 1.6.x support: jQuery UI 1.12 officially supports jQuery 1.7.0 – 2.1.4. Reduced old IE support: jQuery UI 1.11 officially dropped support for IE7 but left all the existing workarounds in place. 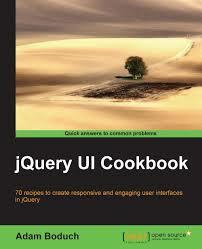 jQuery UI 1.12 has removed all of the IE7 workarounds. In addition, official support for IE8, IE9, and IE10 have been removed, but the workarounds are still in place and will be removed in 1.13. This coincides with Microsoft’s end of regular (non-extended) support for these browsers which occurred in January. Bug fixes: Over 60 bugs have been fixed! For the first time, we have our upgrade guide and API documentation ready during the pre-release phase. For a full list of changes in jQuery UI 1.12, see the list of fixed tickets. And to see what’s coming next, check out our roadmap. If you have feedback on us doing our 2nd pre release for jQuery UI 1.12, feel free to leave a comment below. Thank you.